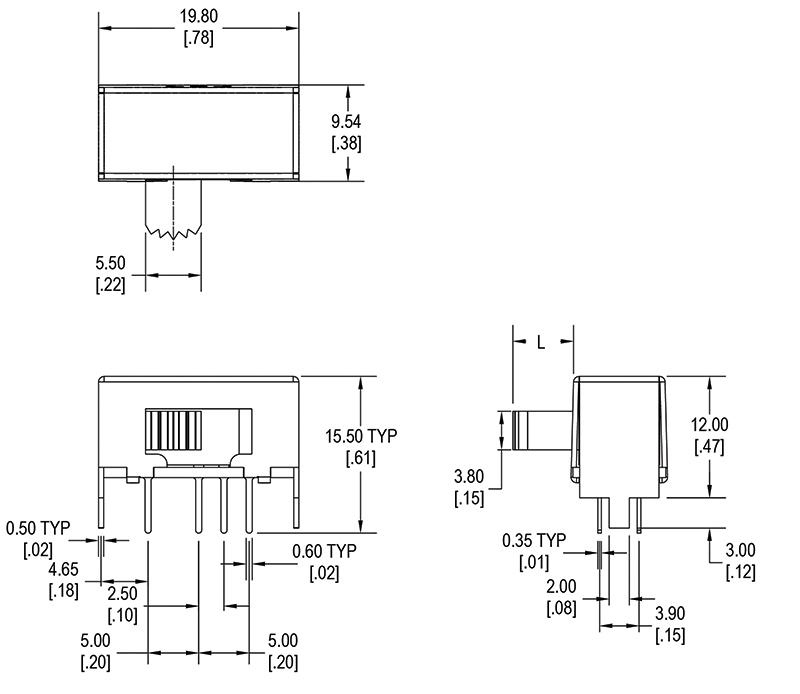 DP3T and miniature in size, the MS2309 right angle slide switch offers multiple actuator lengths with multiple positions in a steel housing. 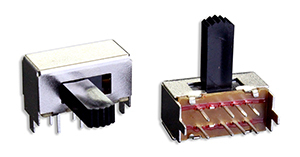 This right angle switch features actuators made with 6/6 nylon and a base made with phenolic material. It also has contacts made with silver-plated phosphor bronze and terminals made with silver-plated brass.